January 29, 2019 Ubisoft’s Pioneer is still in development, but it’s reportedly looking very different these days. 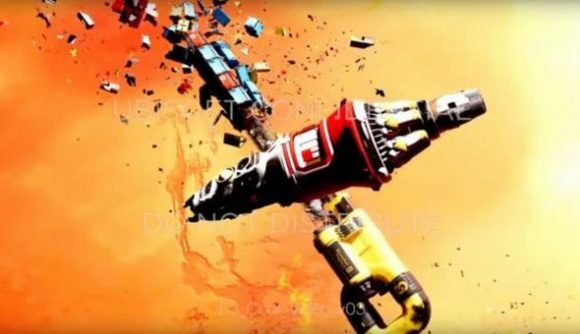 Ubisoft has been working on a space game called Pioneer for years now, and it became a matter of oddly public note when a brief trailer for the title was included in a Watch Dogs 2 easter egg. Earlier this month, a number of Ubisoft developers hinted that the project was effectively cancelled – but another project under the same codename has taken its place. The original pitch for Pioneer was a non-violent game focused on space exploration, according to a report from Kotaku citing anonymous sources at Ubisoft. It’s been in the works since 2013, and was originally under the leadership of Assassin’s Creed III director Alex Hutchinson. Tensions on the team saw Ubi replace Hutchinson and other leads and reboot Pioneer in 2016. Hints that Pioneer was cancelled – including tweets from Hutchinson and fellow AC3 dev Jonathan Cooper – seem to be referring another reboot of the game’s development. According to Kotaku, it’s now a “coop multiplayer alien shooter that uses some of Pioneer’s old features,” and staff has been instructed to use the engine tech powering Rainbow Six to build it. Also of note in that report is that Ubisoft has both approved and canceled an R6 spin-off where you’d fight aliens or zombies. Maybe that’s why we inexplicably got that PvE Outbreak mode last year. We reached out to Ubisoft for confirmation around Pioneer when those tweets first made the rounds, but a representative told us that the company “does not comment on rumour or speculation.” We’ll update this story if we learn more.